It is unlawful for employees to give or receive payment, directly or indirectly, to affect an exchange of position in the same or different postal units, or any place in the public service. This offense is punishable by fine and imprisonment and disqualification from holding any office in the federal government. 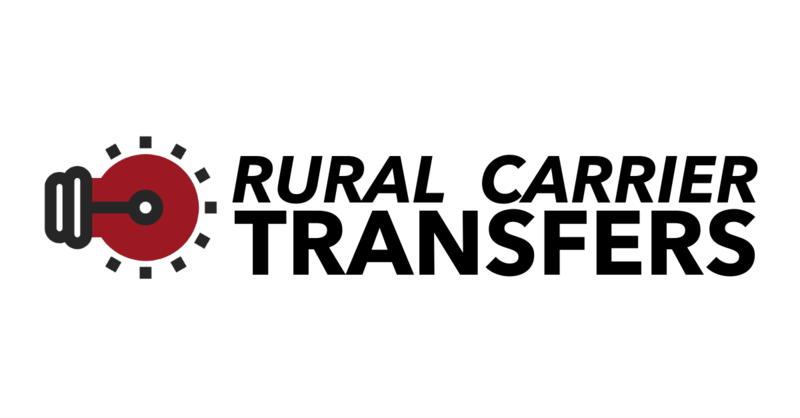 These articles show the provisions of a mutual transfer between regular rural carriers according to the contract. 12.5.A.3. Regular rural carriers of different post offices may affect a mutual exchange of offices, provided all rural carriers and installation heads involved have signed the Mutual Exchange Request Form. Once the form is signed, the mutual exchange will be considered final and binding and can only be canceled if all parties agree. If such an exchange occurs, each rural carrier will be assigned to the residual vacancy at the office to which reassigned in accordance with Article 12.3.A.1.d. The term mutual transfer leads one to think you are trading places with another rural carrier in a different office. Actually, this is not exactly the case. You are in fact trading offices with each other, but you are not trading exact routes. Remember the last sentence from the paragraph above.. If such an exchange occurs, each rural carrier will be assigned to the residual vacancy at the office to which reassigned in accordance with Article 12.3.A.1.d. 12.3.A.d. When rural carriers of different post offices agree upon a mutual exchange of offices and if all installation heads involved approve, the position currently occupied and to be vacated by each rural carrier will be posted for bid within each of the respective offices. In any such posting of routes, any carrier having retreat rights shall be given the opportunity to bid. In addition to the provisions listed below, rural carriers are covered by the seniority provisions in Section l007 of the Postal Reorganization Act, which are intended to prevail. 3. Whenever a rural carrier voluntarily transfers to a rural carrier position in another post office, such as a mutual exchange or as the result of applying for a rural carrier vacancy, such carrier begins a new period of seniority in the new office. Such employee has no retreat rights or seniority protection. 4. When a rural vacancy is filled by voluntary transfer of a rural carrier in accordance with Article 12.3.E.1, seniority for filling the position will be determined on the basis of total service as a regular rural carrier. 2. The following shall be the order of consideration in the filling of a vacancy: a. All regular rural carriers included in Section 1 above based on the seniority of the carrier. b. The residual vacancy shall be awarded to a regular rural carrier who has been approved for a mutual exchange at the office in accordance with Article 12.5.A.3. However, mutual exchanges may not be approved in an office to which a rural carrier has retreat rights or to an office that has excess rural carriers. 1. Posting of a regular route is required as follows: d. When rural carriers of different post officesagree upon a mutual exchange of offices and ifall installation heads involved approve, the position currently occupied and to be vacated by each rural carrier will be posted for bid within each of the respective offices. In any such posting of routes, any carrier having retreat rights shall be given the opportunity to bid. 5. When a voluntary reassignment of a regular rural carrier occurs outside the delivery unit, the regular carrier shall be scheduled for one (1) day of on-theclock familiarization training on the new route. Such training should conform to the requirements of Handbook EL-701A, New Employee Training for Non-maintenance Employees. RCA’s may post specific area information on this board, but there is no need to post an ad because RCA’s cannot do a mutual transfer like regular rural carriers. RCA’s do not do mutual transfers like a regular carrier does. You cannot trade with another RCA in another office.. An RCA must have completed their probationary period before they are allowed to transfer. The probationary period is 90 days worked or 1 year, whichever comes first..
F. Reassignment (Transfer) to Another Office 1. A substitute, rural carrier associate, or rural carrier relief employee, who has completed the probationary period and then submits a written request for reassignment, may be reassigned from one office to another, provided a vacancy exists in the leave replacement ranks in the office to which reassignment is requested. A vacancy exists if a regular route does not have an assigned leave replacement or the only route in the office is an auxiliary route and there is no assigned leave replacement. Such reassignment shall be considered an in-service placement.